Jabalpur Airport is also referred as Doomna Airport. This airport is located exactly 20 km from the main city. This Airport is a domestic airport and receives regular flights from Delhi. Many airlines including Kingfisher, Air Deccan have regular flights to this place from various cities in India including Delhi, Mumbai, Indore, Gwalior etc. Foreign tourist can take a international flight to Delhi or Mumbai and then from there take a domestic flight to this place . Jabalpur Railway Station is connected with all the major cities of India. Few of these major cities include Bhopal, Varanasi, Mumbai, Howrah, Delhi, Patna, Chennai, Cochin, Delhi, Pune, Satna and Indore. Few trains that ply regularly to this city include the Gorakhpur Express, Gangakaveri Express, Bagmati Express, Narmada Express, Vindhyachal Express, Surat Express, Patna Express, Jalna Express and many others. It is located on the Varanasi – NAGPUR Highway and hence it is easily accessible by roads. Additionally there are various other road routes available for reaching this city from various other cities. The state bus services also help the tourist's reach this place from various other cities of Madhya Pradesh. Cities like Indore, Bhopal, Satna, Nagpur, Varanasi and many other have regular bus services to this city. 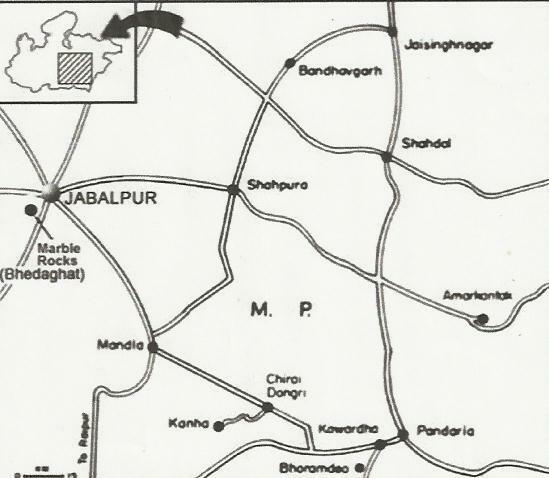 By road, it takes around 8 hours to reach from Bhopal, 13 hours from Varanasi and 2 and half hours from Satna. Accommodation facilities are readily available as per the budgetary choices for tourists. Excellent accommodation facilities are made available for tourists who visit the city or nearby places. One can find each and every range accommodation right from economy hotels to star category hotels here. The hotels of economy range are usually found located near the Bus Stand. However, the star hotels or other resorts are located more over near Railway Station, Russell Chowk Area and few other areas in the city. MPTDC Hotel Kalchuri Residency: MPTDC Hotel Kalchuri Residency is a MPTDC owned 3 – star property located within the vicinity of the city. MPTDC Hotel Kalchuri Residency is just 2.5 km from the railway station and offers excellent accommodation which comprises of suites, executive rooms, superior rooms and deluxe rooms. The facilities and amenities offered by MPTDC Hotel Kalchuri Residency include large swimming pool, multi-cuisine restaurants, airport transfers and bakery. Mentioned below is the list of notable hotels well known for their comfortable and luxurious accommodation for tourists who visit this city. 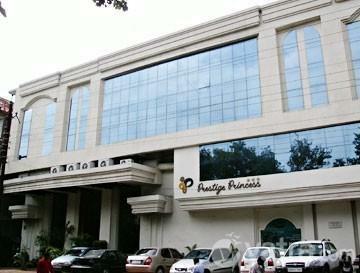 Hotel Prestige Princess: Hotel Prestige Princess is one of the best 3-Star hotels in this city. Hotel Prestige Princess is located just 1 km from the Railway Station and around 16 km from Doomna Airport. The accommodation facilities of Hotel Prestige Princess are luxurious and comfortable which comprise of Deluxe rooms, Elegance rooms, Royale rooms and luxurious suites. Hotel Prestige Princess also offers luxurious facilities and amenities in the room including the high speed internet access, multi-cuisine restaurant and many other such facilities. 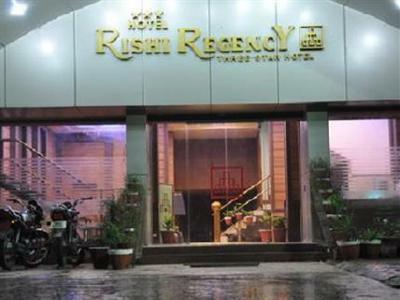 Hotel Rishi Regency: Another famous hotel is, Hotel Rishi Regency is a 3-Star hotel known for its excellent services and comfortable accommodations. Hotel Rishi Regency is strategically located just 1.5 km from the main bus terminal and is at a walking distance from the railway station. The accommodations offered by Hotel Rishi Regency comprise of Suites, Delux rooms and executive rooms; all centrally air-conditioned. 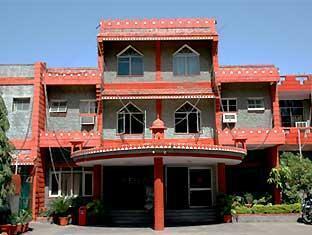 Hotel Rishi Regency offers excellent facilities and personalized services to its guests. 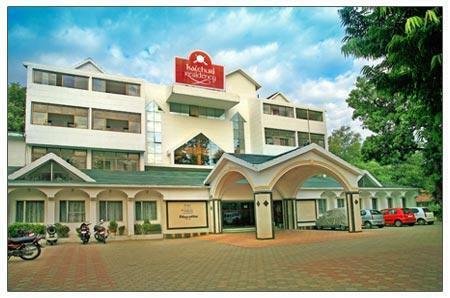 Hotel Krishna: Hotel Krishna is one of the popular hotels. Hotel Krishna is located 2.5 km from the railway station. Hotel Krishna is known for its excellent accommodation options which comprises of suites, executive rooms and family rooms. The hotel is known for various facilities and services that it offers to the guests which include various restaurants, 24 hours room service and many more. Can you please suggest some good resorts at Jabalpur for honeymoon? I searched in TripAdvisor but could not pick one.